Dr. Costa is an Assistant Professor and Schlegel Research Chair in Clinical Epidemiology & Aging in the Department of Health Research Methods, Evidence and Impact and Department of Medicine at McMaster University. He also serves as the Research Director at the School of Medicine, Waterloo Regional Campus. Dr. Costa’s research program promotes evidence-based care and health policy in seniors and geriatric care. His program of research makes use of health information and technology to develop better models of care and decision support systems in home and community care, and emergency departments. Joanne Ho is an internist, geriatrician and clinical pharmacologist who researches adverse drug events in the older individual using observational research and systematic review methodologies. She attended the University of British Columbia for her medical undergraduate degree and then completed residencies in internal medicine, geriatric medicine and clinical pharmacology at the University of Toronto. Her Masters of Science was completed at the Institute for Health Policy, Management and Evaluation during which time she participated in the Department of Medicine Eliot Phillipson Clinician Scientist Training Program at the University of Toronto. Joanne Ho recently completed a research fellowship with the Li Ka Shing Knowledge Institute through the University of Toronto Division of Geriatric Medicine and she is also an examiner with the Royal College of Physicians and Surgeons of Canada for Clinical Pharmacology and Toxicology. Joanne Ho is currently affiliated with Grand River Hospital and recently joined the Department of Medicine at McMaster University as an Assistant Professor in the Department of Medicine, Division of Geriatric Medicine. She is piloting GeriMedRisk, a geriatric pharmacology consultation and knowledge translation service for clinicians in the Waterloo-Wellington Region. Dr. Linda Lee is a family physician with Care of the Elderly certification, Director of the Centre for Family Medicine Memory Clinic, Schlegel Research Chair in Primary Care for Elders at the Schlegel-UW Research Institute for Aging, and Associate Clinical Professor in the Department of Family Medicine at McMaster University. She has developed a Primary Care Collaborative Memory Clinic model and Training Program which has assisted 110 other primary care settings in Ontario to develop new Memory Clinics. Her clinical and research interests are focused on optimizing healthcare for persons living with dementia and addressing frailty within primary care. Connie is a Registered Nurse, receiving her BScN from the University of Windsor in 1990. She has extensive clinical experience having worked in Cardiac Care, Emergency, and most recently in the community. She was the first Rapid Response Nurse in the Province of Ontario, participating inProvincial education working groups and the Rapid Response Nurse Institute. Her interests are in congestive heart failure, chronic disease management, patient education, and promoting evidence-based care in the home care sector. She obtained her PhD in Nursing from Walden University in 2017, completing a qualitative grounded theory study on heart failure self-management in the community. Connie is currently working as the Lead Clinical Coordinator for the DIVERT-CARE trial. Graham completed his graduate work at the University of Waterloo, and has studied and written on a range of topics centred around the social impacts of health, immigration, and technology policy. His current areas of focus include qualitative health systems research, facilitating collaborative and interdisciplinary projects with partners across Canada, and exploring the leveraging of new technologies in safe, effective, and accessible patient care. Darly is a researcher and program evaluator working to integrate research and practice related to aging. Her graduate work was completed at the University of Waterloo with a focus on qualitative research and program evaluation, and she is an active member of the Canadian Evaluation Society. She brings her experience with dementia education programs, the use of technology to support health behaviour change, and work in long-term care, retirement, community health care, and public health settings. Darly is currently working on projects such as the DIVERT-CARE Trial and Experiences, the Act On Chronic Disease Program, and the Physician Quality Score project. Lindsay completed her undergraduate degree in therapeutic recreation at the University of Waterloo. She has previously worked in long-term care and retirement settings, and has frontline experience supporting seniors with advanced dementia. She is passionate about issues surrounding seniors care, chronic disease management, and caregiver burnout. Currently, Lindsay is working on the ACT on Chronic Disease program and the Physician Quality Score project. She will also be working on the expansion of existing education projects macPAGE, and Make a New Old Friend. Ahmad is an analytic epidemiologist at ICES-McMaster. He has completed an undergraduate degree in Health Sciences at the University of Ottawa and Master’s degree in Epidemiology from Queen’s University. 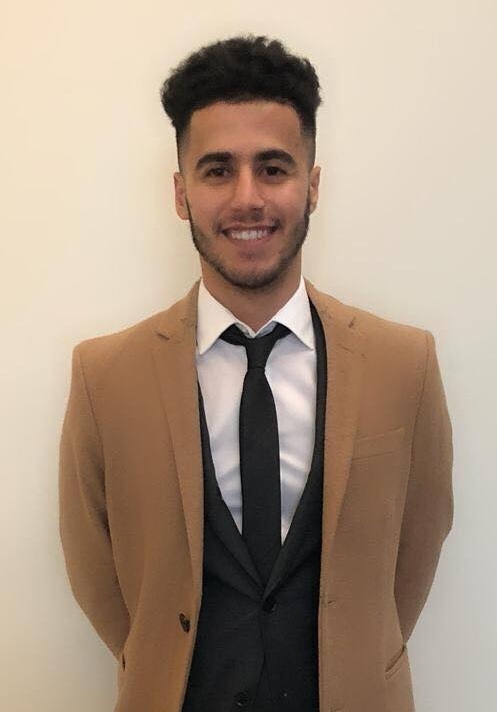 Ahmad is working with Dr. Andrew Costa on projects that use administrative health data at ICES to develop better models of care and decision support systems in home and community care, and emergency departments. Rebecca is a BSc Health Studies (2019) candidate at the University of Waterloo, with a Minor in Medical Physiology and Option in Aging Studies. She joined McMaster University for her final co-op term and continues working in this role. Rebecca was the Event Coordinator for McMaster University’s 2018 Waterloo-Wellington Clinical Research & Quality Improvement (WWCRQI) Symposium. Rebecca also assisted with launching the “Make a New Old Friend” education program at McMaster University. Currently, Rebecca is assisting with various research projects and education initiatives including designing the McMaster Medical Compendium. Stemming from past co-op and volunteer roles, Rebecca’s interests include clinical processes, public health, e-health, health systems and project management. Sarah is a fourth-year BSc Kinesiology (2019) candidate pursuing a Pre-Health Professions Option at the University of Waterloo. Sarah previously acted as the Submissions Coordinator for McMaster Waterloo Regional Campus' Evidence-Based Medicine Case Report Journal. She has worked with local clinicians, residents, and medical learners to coordinate the first publication of the EBM-CR Journal. In a research capacity, Sarah has joined the CARPE team under the supervision of Matt Leyenaar. This project aims to develop a standardized assessment tool for community paramedic programs inorder to improve care of vulnerable patient populations. Sydney is a fourth-year BSc Kinesiology (2020) candidate at the University of Waterloo. She has an interest geriatric care and aging. Sydney has taken over the Submissions Coordinator role for McMaster Waterloo Regional Campus' Evidence-Based Medicine Case Report Journal. She will also be supporting education projects such as Make a New Old Friend, and the Evidence-Based Medicine Workshops at the McMaster Waterloo Regional Campus. Meaghan received her BSc in Health Studies at the University of Waterloo in 2012. She obtained her MSc in Epidemiology and Biostatistics at Western University in 2014. Her thesis entitled “Risk Scores for Predicting Mortality in Flail Chest” was published by the Annals of thoracic surgery in 2015 and has since begun development into a web-based calculator by the pmidCALC organization for worldwide use. Meaghan worked as a research assistant on several innovative projects including the DIVERT-CARE trial under the supervision of Dr. Andrew Costa. Meaghan is also interested in clinical work and is currently attending the compressed time-frame nursing program at Western University. 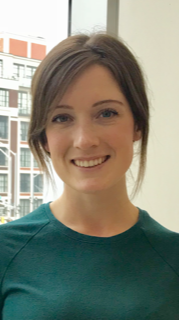 Amy is a BSc Kinesiology student at the University of Waterloo who joined the BDG team as a part of her final cooperative education placement. She entered into her last year of studies in September 2017 and anticipates graduating in April 2018. Amy has worked closely with the MacPAGE team to help prepare the pilot program for action as well as developing all supporting and promotional materials for the Make a New Old Friend program. In addition, Amy led the coordination of the 2017 WWCRQI 2017 Clinical Research & Quality Improvement Symposium, bringing together clinicians, researchers, technology innovators, medical educators and medical/healthcare students of all disciplines for a sucessful day of sharing ideas, making connections, and discussing issues and research in the Waterloo Region. Kelsey is an undergraduate student completing her BSc in Kinesiology at the University of Waterloo, with intent to graduate in April 2018. As part of her final cooperative education placement, Kelsey worked with the BDG team on the Staff Organization in LTC Homes study, collaborating with Schlegel Villages and the Schlegel Research Institute for Aging. In addition to these projects, Kelsey acted as Submissions Coordinator for the emerging McMaster Evidence-Based Medicine Case Report Journal, developing materials and working with local clinicians, residents, and medical learners to build a network of peer-reviewers and assemble the first edition of the EBM-CR Journal. Carolyn is an undergraduate student at the University of Waterloo working towards her BPH in Public Health with an Option in Aging Studies, intending to graduate in April 2019. As part of her final co-operative work placement, Carolyn recently joined the BDG team at McMaster’s Waterloo Regional Campus to work on special projects. Currently Carolyn is working with Dr. Costa and Schlegel Villages on the Culture Change Evaluation project, which aims to examine the effects of implementing a focus on living at long term care and retirement homes.